With the drastic PR changes brought by Google this top 100 list needs to be revised. I noticed there has been some big changes since the last PR update. Unlukily my pr only went up to a 2, so I only gained about 8 spots. Yeah. i find that JohnChow’s blog has more and more advertisment kind of posts. 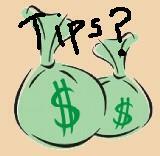 I think sites that are about making money, should have posts on how to make money often. Just like a site that is about cars should have content about cars. For sure, a no brainer. Some of these blogs on the list have since fallen off. I think Google PR is over rated and to a certain extend, flaw. But well, the market seem to look at this ranking seriously, and I probably got to live with it. Agree. But I do kind of rush when I see my PR goes up Its kind of addiction actually. Yep. Some of the blogs have fallen off. Just go to show that IM is a constant affair. Make money online blogs are frauds, with useless information, made to fool people and buy/signup with their affiliate links. This is an amazingly good blog and thanks once again for posting this kind of information! This is good stuff! Sign: umsun Hello!!! rcuwwymhyw and 9990ssgfhphzye and 8522I will try to recommend this post to my friends and family, cuz its really helpful.